I had no idea what to expect when I dined at Graffiti recently, a modern, sleek restaurant in Petaluma’s old-style downtown. The ambiance inside felt more like that of a restaurant inside San Francisco, and the menu can best be described as New American, even if it is a little all over the place (coconut chicken curry sits alongside proscuitto-wrapped monkfish; beet kim chee is offered right next to classic bruschetta). I started with something simple: Caesar salad. Caesar salads are a dime a dozen but Graffiti’s really was outstanding. White anchovies, a Parmesan crisp and Asiago crostini are all served alongside a plate of romaine lettuce. The dressing was garlicy and creamy, but lemony enough that it wasn’t too rich. 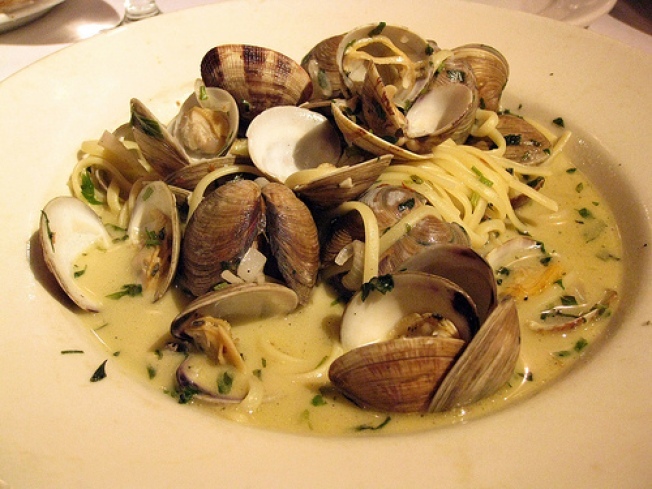 For my entree, I ordered the linguine and clams. I’m a sucker for pasta so I wish my dish had a little more than the small handful in my bowl. The clams were good though, and even if was heavy on the broth, at least it was an herb-flecked shallot and white wine broth. Graffiti is a hip alternative in a town otherwise known for its rural roots, but I wasn’t sure what to make of the menu and concept. It felt like a lounge, tapas bar, Asian, fusion and New American restaurant all at the same time. A little bit of everything might not always be a good thing, though Graffiti definitely has some gems.